TherAbilities’ occupational, physical, and speech therapy staff currently practice in many school districts throughout the counties of Dauphin, Cumberland, Lancaster, Lebanon, York, and Perry. Our services are individualized to meet each school district’s specific needs. Services include student-specific evaluation and service delivery, screening, documentation, attendance at relevant team meetings, associated consultation to support educational personnel, and in-servicing training. Our therapy staff function as team members who are housed in the school district during their days of service. 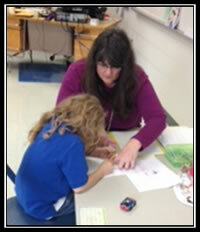 This promotes communication and cooperation between the school therapists and other members of the school community. TherAbilities, Inc. is committed to providing effective school-based services for children and educational professionals. Occupational, physical, and speech therapies assist children in acquiring the developmental foundations for learning readiness and the sensorimotor skills for effective functional performance in the school environment. 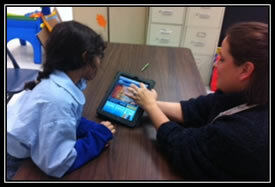 Occupational, physical, and speech therapists serve as important professional members of a student’s educational team. In the school-based role, the therapist can offer essential supports to the student, while also assisting educators to develop effective strategies for meeting a child’s educational goals.